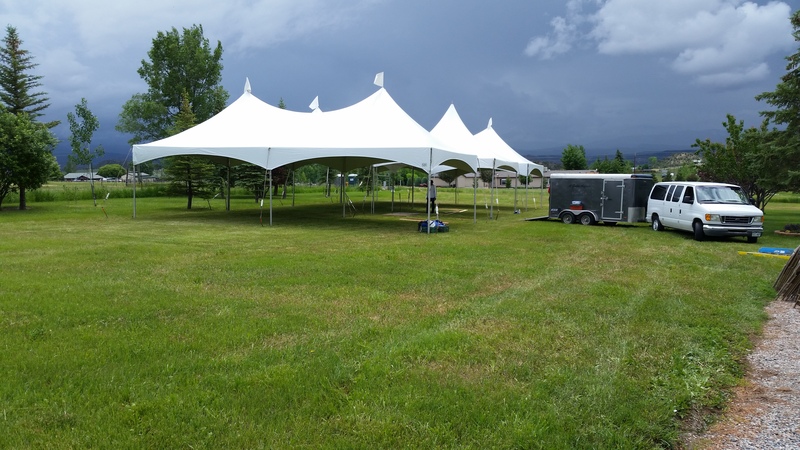 When renting tents and equipment for your outdoor event, everything needs to be done right and you need to have vendors with experience. 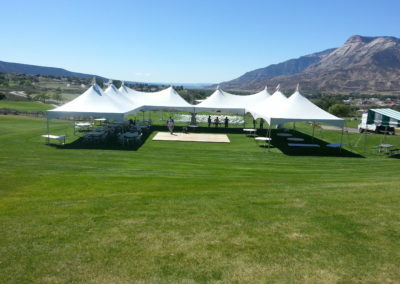 You have one shot to make it right. 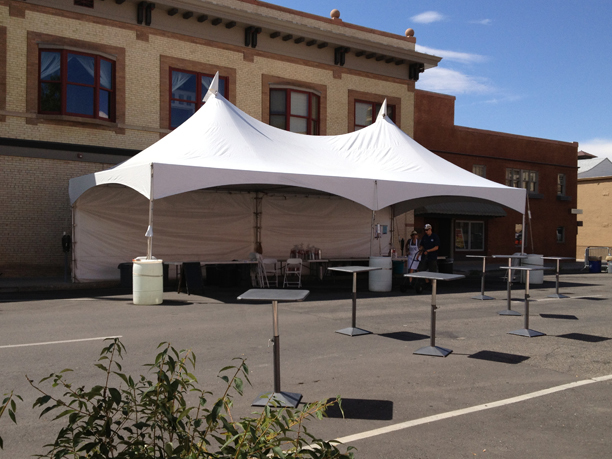 We have the experience, product knowledge, and staffing to make sure your event goes off perfect! 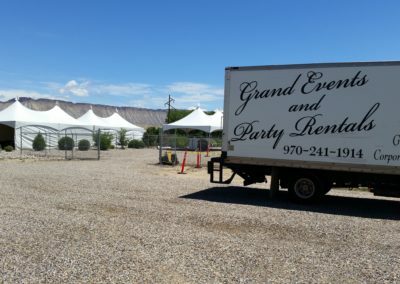 For customized quotations on rentals, please contact one of our consultants who can help you identify what items and options you should consider for your event. 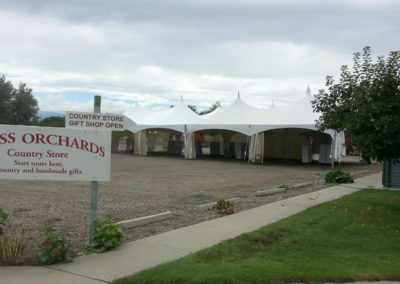 Let us know the location of the event, approximate guest count, and an idea of the items you are interested in. 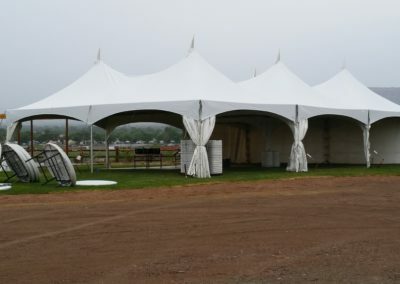 We have a number of tent sizes which offer a large number of layouts, just take a look through this portfolio. 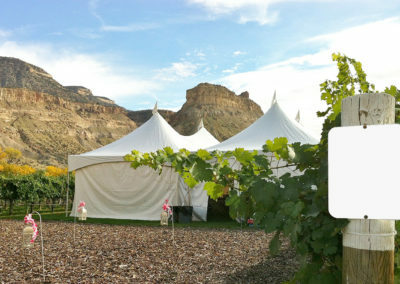 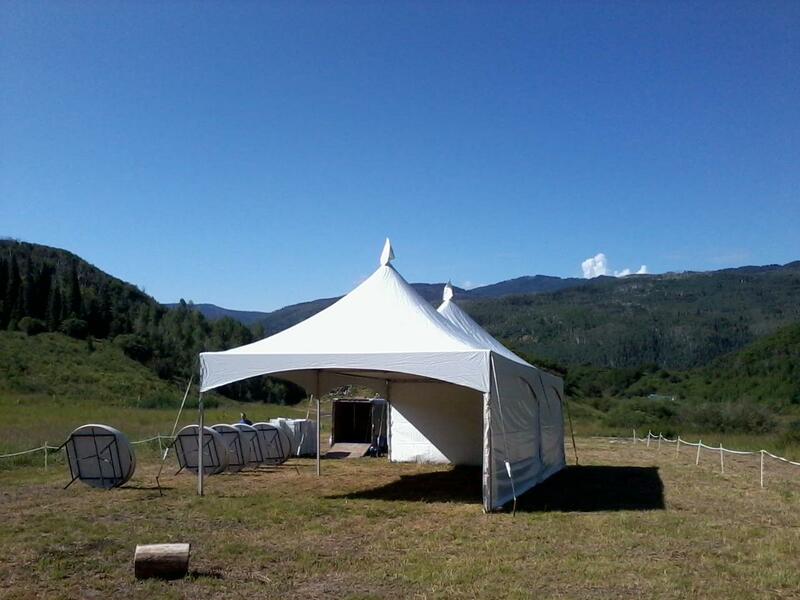 A consultant can help choose the correct number and/or size of tents you may need. 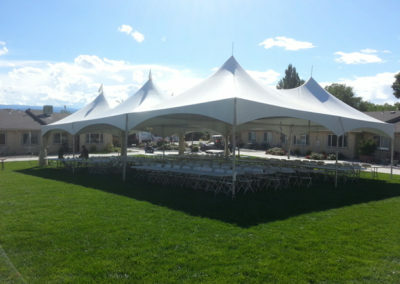 The information will give you an idea of how much sq. 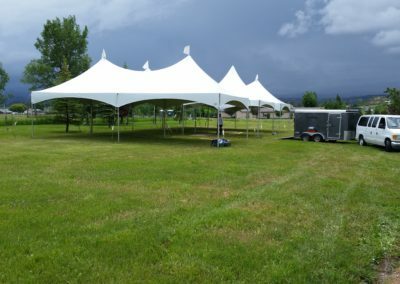 feet per person of tent space you will need – however, more space may be necessary to accommodate bars, dance floors, buffets, tables, etc. 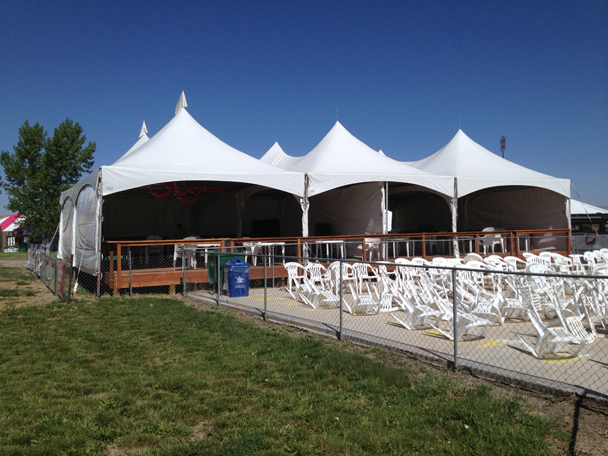 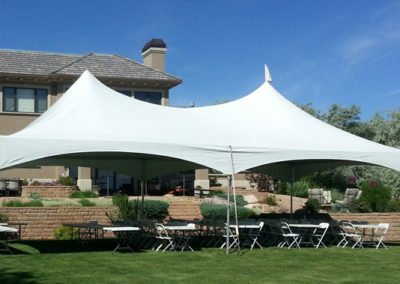 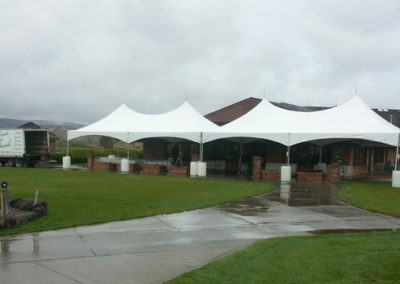 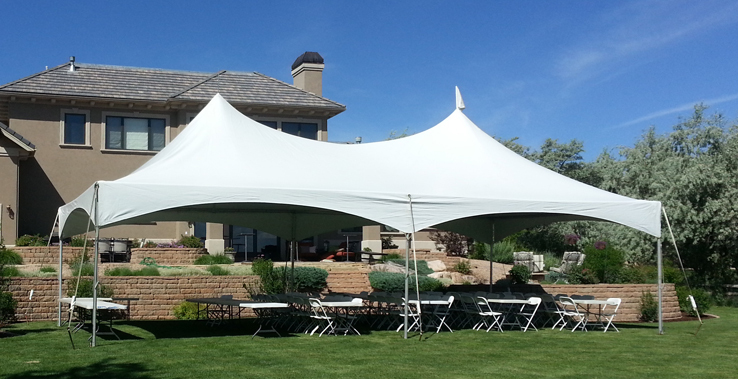 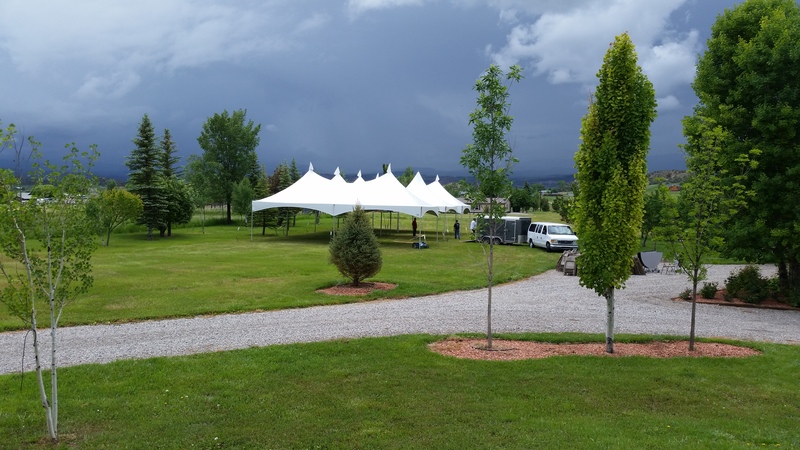 Some events will use retractable tent sidewalls – providing privacy, climate control, and to help control lighting. Lighting sets the mood and creates the atmosphere for your event. 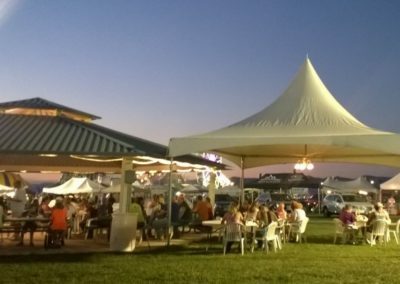 We have a selection of lighting options to choose from and can customize lighting to fit your needs. 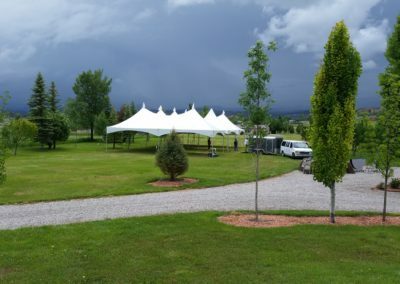 This is something often overlooked for outdoor events and something some you may need to consider. 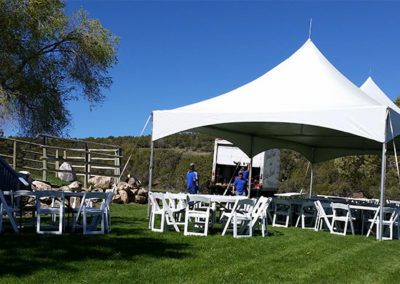 Many events will not only need power for lighting, but also for audio/video equipment, refrigeration and other power needs. 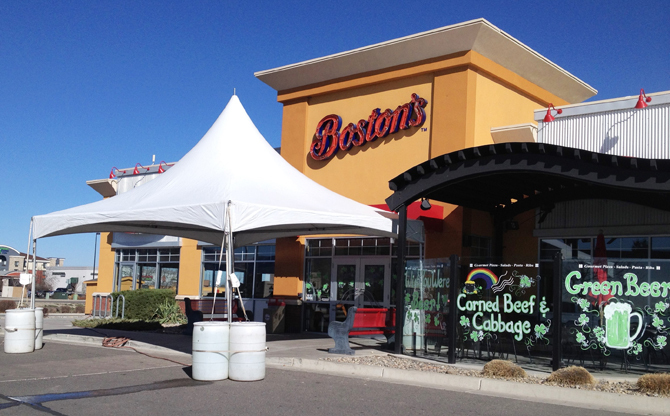 Ask us about solutions for your power needs. 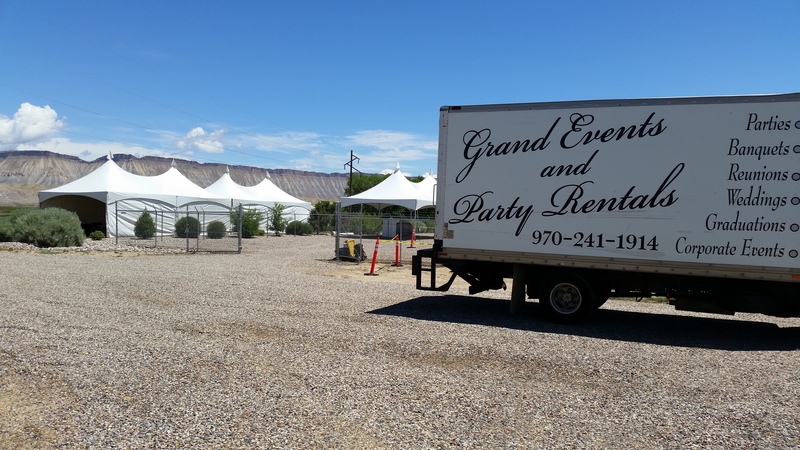 We offer both heaters, fans and evaporative air-conditioning if needed. We carry a variety of tables, chairs, and linens to suit your event. 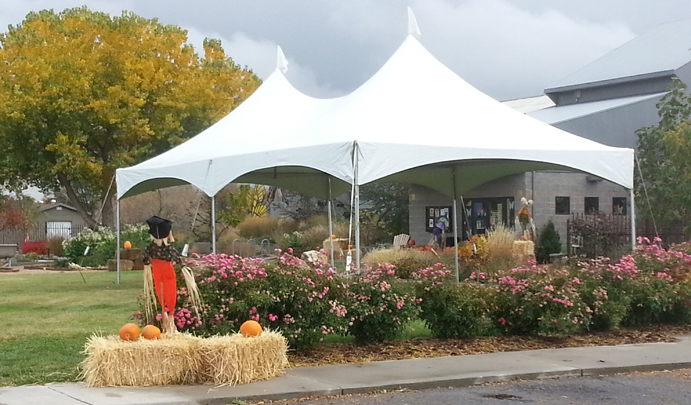 We also have a wide variety of décor items to help set the mood for your event. 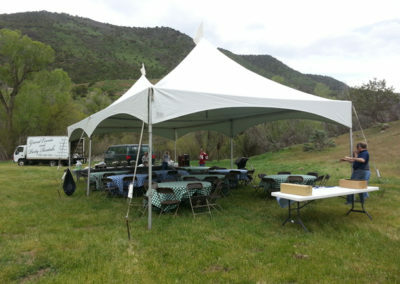 » 30’x40’ Hexagon (6 sides) – will seat 120 at fifteen round tables – or should seat 150+ in chairs. 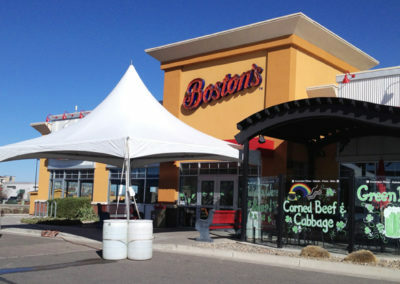 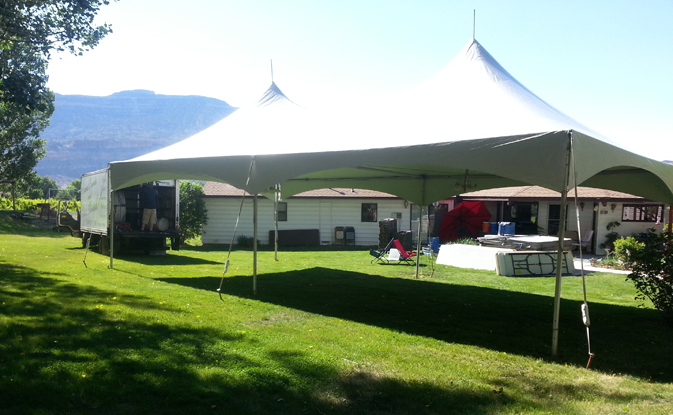 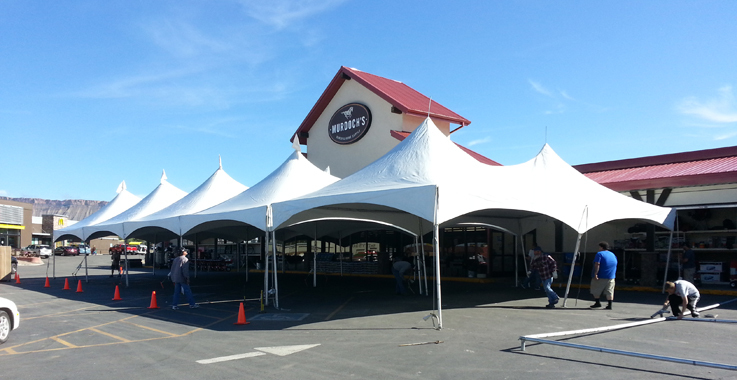 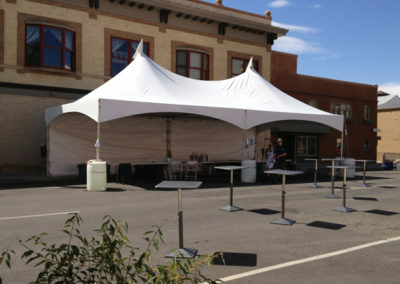 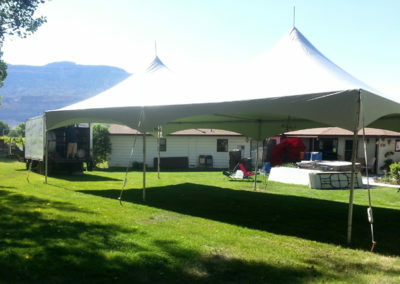 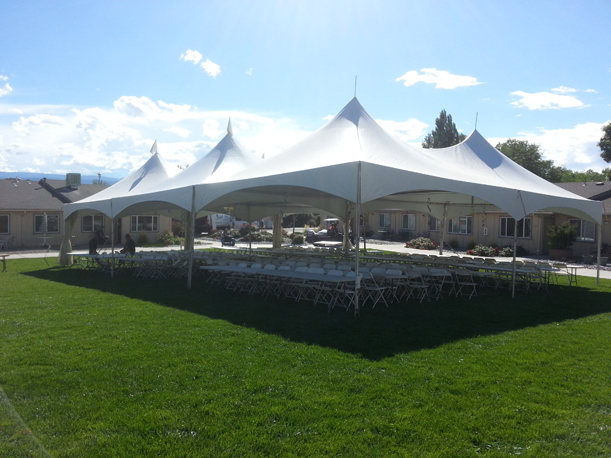 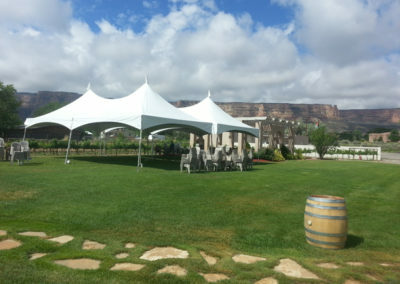 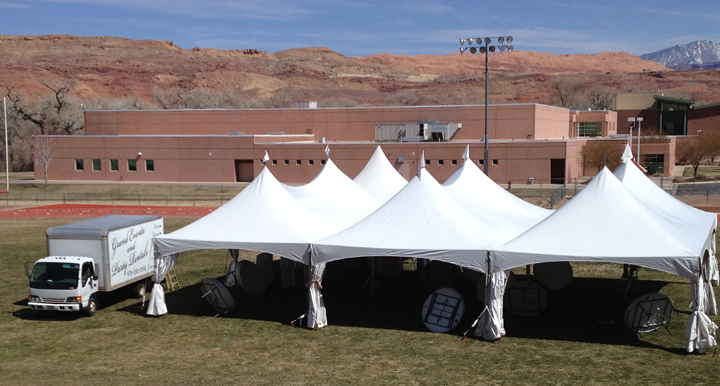 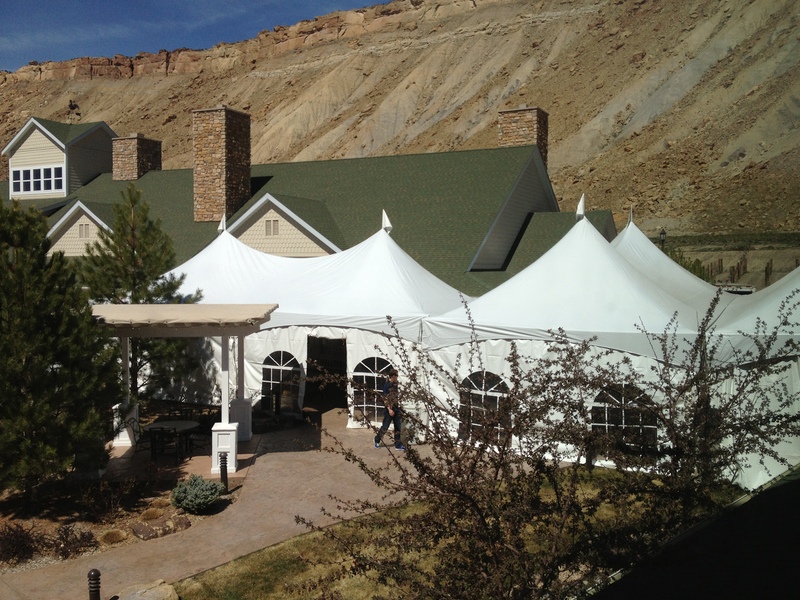 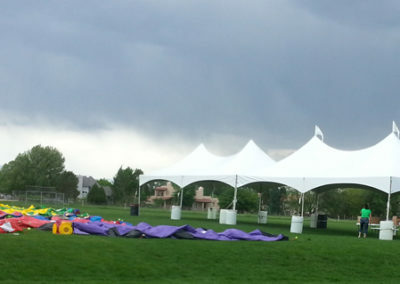 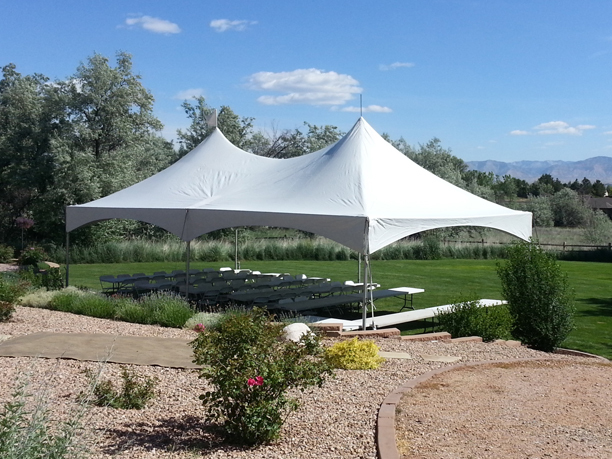 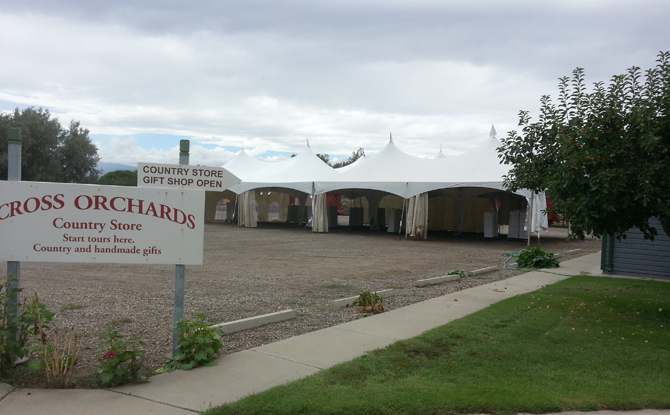 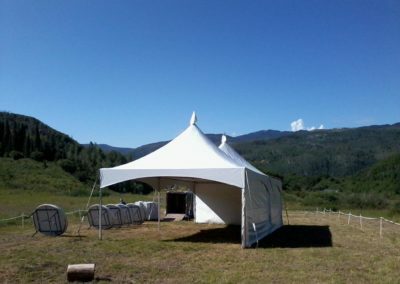 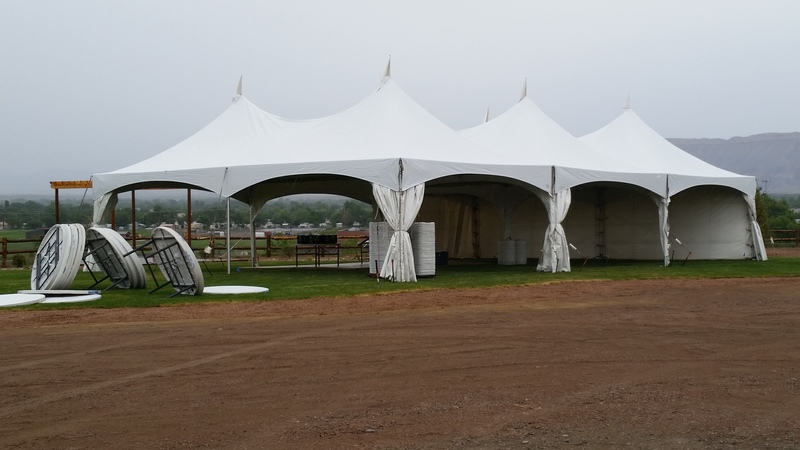 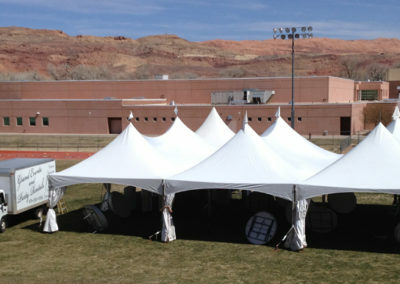 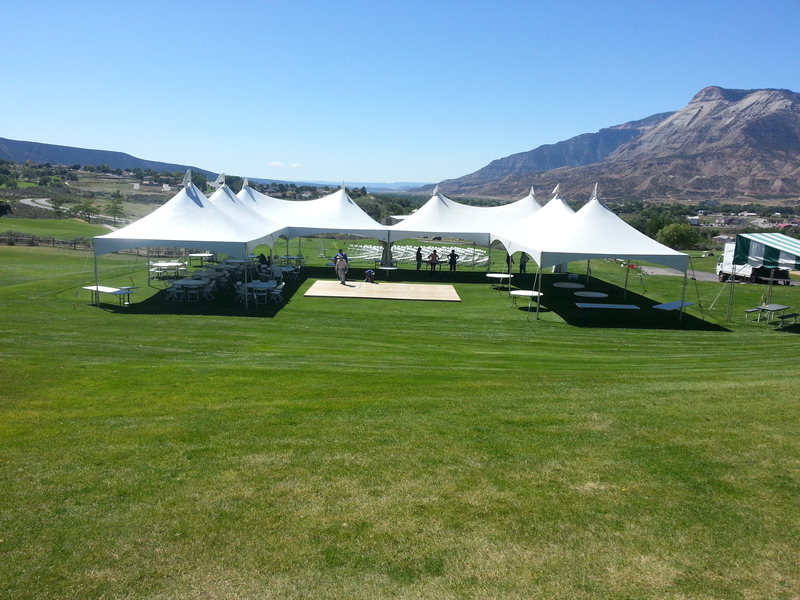 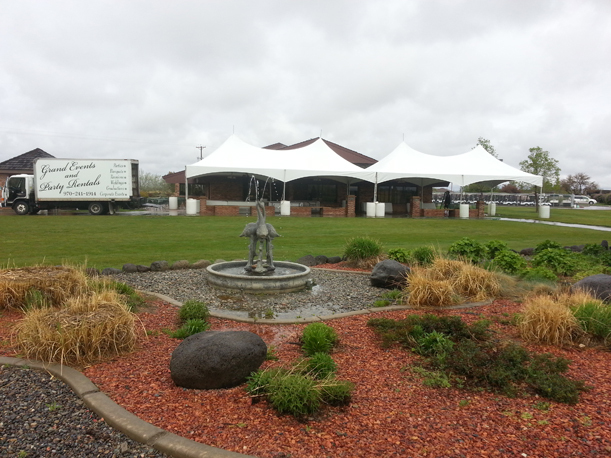 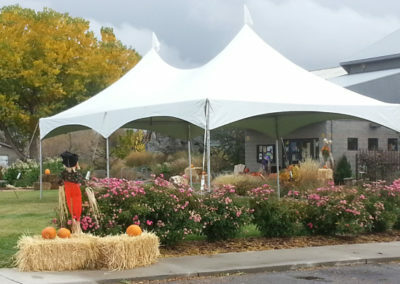 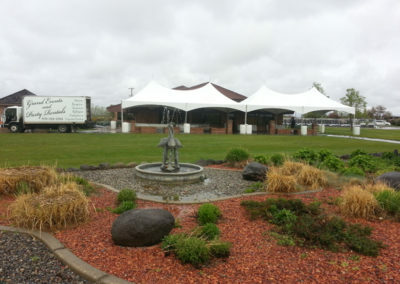 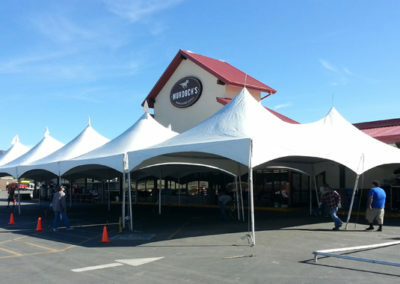 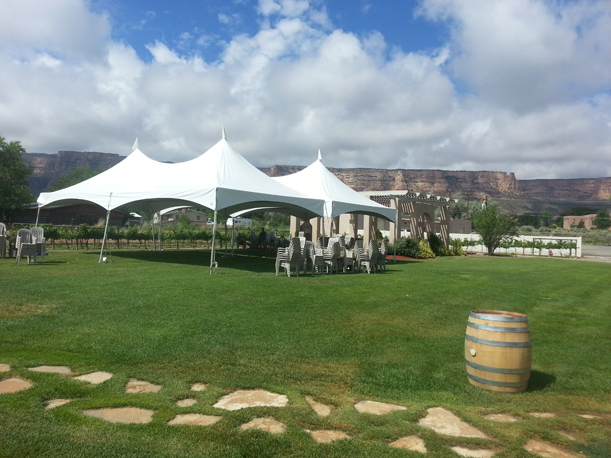 We can put these tents together to create a number of sizes and configurations.